Detailed topicwise Andhra Pradesh Group I Mains GK Notes for APPSC Mains Exam are provided for free browsing. 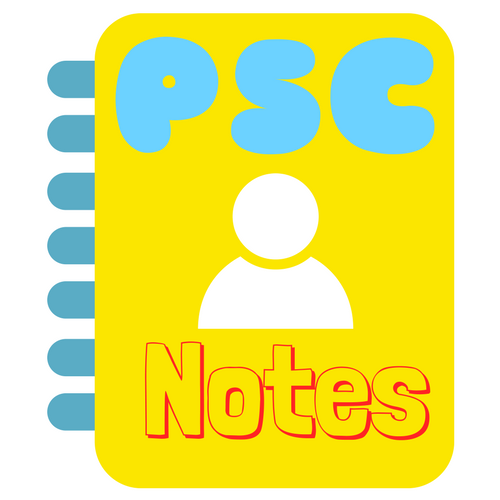 Andhra Pradesh Group I (APPSC) Mains Notes are designed by APPSC Toppers and other civil servants. Detail Notes can be browsed at the following links. 1. Indus Civilization – Vedic Civilization – Distinction between Indus Civilisation and Vedic Civilisation – Evolution of Varna, Jathi/caste system – Religious condition – Emergence of Religious Movements (Jainism, Buddhism and other sects) – Rise of Magadha Imperialism – Rise of Mahayana and Development of Art (Gandhara, Mathura and other Schools). 2. Advent of Islam and its impact – Influence of Islam on Indian Culture – Religious Movements – Nature and significance of Bhakti Movements – Growth of vernacular languages, literature, fine arts, architecture, monuments, Indo-Persian art and architecture – Vijayanagara empire and their contribution to art, literature and culture – socio-economic conditions, administration, fall of Vijayanagar empire – the Great Mughals and their contribution to Indian Fine Art, Architecture and Fine Arts – Rise of Shivaji. 3. Stages of colonialism – changes in administrative structure and politics – factors leading for the British supremacy, assistance of Indian Powers and the causes of failures – Civil rebellions – Revolt of 1857 and its impact – Rise of nationalist consciousness and factors for the growth of Indian Nationalism and Freedom Struggle : Three Phases :1885-1905, 1905-1920, 1920-47 and significance of Gandhian Era. 4. Rise and growth of Socio-Religious-cultural – anti-caste, Dalit and non-Brahmin, Justice/self-respect movements in modern India – Social reform organisations and role of intellectuals – Raja Ram Mohan Roy – Dayanand Saraswathi – Jyotiba Phule – Narayana Guru – Mahathma Gandhi – Ambedkar and others. 5. Nationalist Literature – growth of peasant and labour movements – role of leftist parties in anti-feudal and anti-colonial struggles-rise and growth of Women’s movements – origin and growth of communalism – workers and peasant movements –freedom and partition of India; important historical events after independence. 1. The Satavahanas and their contribution – social structure – religious conditions – growth of literature and painting – Ikshvakus and their cultural contribution – Growth of Buddhism in Andhra Pradesh – The Eastern Chalukyas of Vengi and their importance – socio-cultural contribution – growth of Telugu language & Literature – education and learning – Religious Sects – growth of art and architecture. 2. Socio- Cultural and Religious conditions in Andhra Desha between 1000 AD – 1565 AD Growth of Telugu Language and Literature – Nannaya- Molla etc., fine arts and architecture – Monuments – Significance – Contribution of Qutubshahis to Telugu language and Literature – Art- Architecture-Monuments. 3. Modern Andhra – Socio-cultural awakening in Andhra – Brahma Samaj, Arya Samaj, Theosohica society – Adi-Andhra, Movements and role of Veereshalingam and others – Non-Brahmin, Adi- Andhra /Dalit and Justice/self – respect movements – Gurram Joshuva – Boyi Bheemanna – Sri Sri and others – Growth of Nationalist Movement in Andhra and the Andhra Leaders during the Freedom Struggle – Role of socialists – communists – anti-zamindari-kisan movements. 4. Asafjahi Dynasty – socio-cultural awakening in Telangana -Adi-Hindu Movement – Nizam Rashtra Janasangham – Andhra Mahasabha – Andhra Saaraswata Parishat – The role of Hyderabad State Congress and Vandemataram Movement. 5. Telangana People’s Armed Struggle – Ittehadul-Muslimeen – Razakars-anti-Nizam Struggles and end of Nizam’s Rule and integration of Hyderabad State in Indian Union – Formation of Andhra Pradesh. 1. Nature of the Constitution – constitutional developments – salient features – Preamble – Fundamental Rights,Fundamental Duties, Directive Principles of State Policy and their relationship –Distinctive features of Indian Federation. 2. Distribution of Legislative Powers between the Union and the State; Administrative and Financial relations between the Union and the States – Powers and the functions of Constitutional Bodies. 3. Unicameral and Bicameral Legislatures – Functions and crises of accountability, decline of legislature – Delegated Legislation – Legislative and Judicial control over the delegated legislation – Judicial review of administrative action. 4. Amendment of the Constitution – Basic Structure Theory – Emergency Provisions and Decentralisation – Community development experiment – 3 tier model of Panchayat Raj – 73 and 74 amendments and their implementation. 5. Welfare Mechanism in India: Provisions for scheduled castes, Tribes and Minorities; Reservations for SC, ST and Backward classes; Prevention of SC and ST Atrocities Act; National and State SC and ST Commission; Women’s Commission; National and State Minorities Commission and Human Rights Commission.